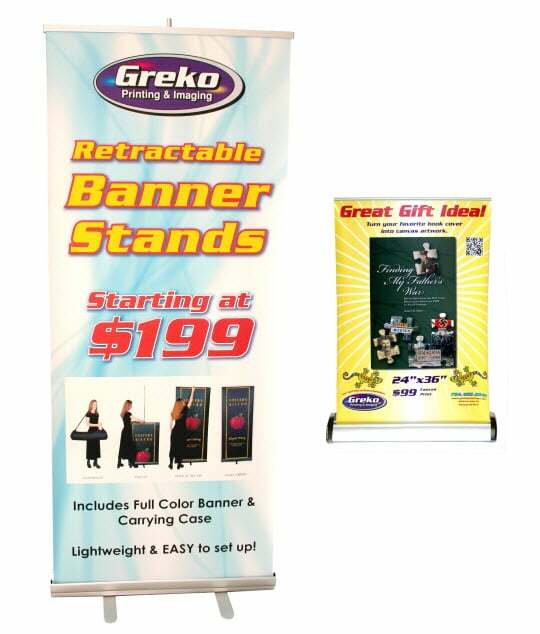 Greko has retractable banner stands that allow for fast set-up to get your message out there! The banners are interchangeable which allows for variety and targeted messages. Banner stands are perfect for events, as they fold down and fit into a carrying case that is included with your purchase! 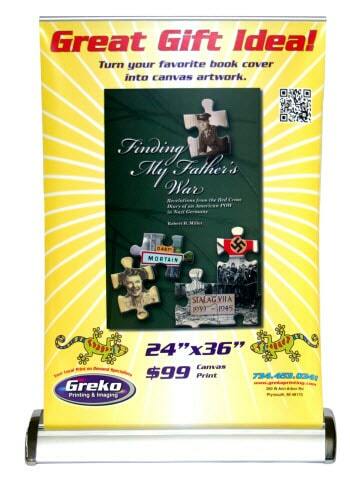 Greko also has scrolling banner stands that display multiple images and keeps your message moving. The motion will attract attention and increase your advertising presence!